I’m sure you’ve heard this time and time again – especially with the latest health/diet trends. But the facts are there, you guys. There really is something to eating dark leafy greens for your health! When I say “dark , leafy greens”, what do I mean, exactly? Kale, collard greens, turnip greens, mustard greens, spinach, chicory, arugula, swiss chard, etc. are all examples of nutrient powerhouses. Now, what can they actually DO for you? I’m glad you asked. · They’re chalked full of vitamin K, which thins your blood, helping to prevent blood clots, heart attacks, and strokes. · They’re high in folate, beta-carotene, polyphenols, and lutein, which all act as antioxidants for the body and help to reduce risk (or slow growth of) certain types of cancer. · Leafy greens are full of nitrates (the good kind) that help to burn fat. Umm, yes please! · They help to reduce inflammation in the body via essential fatty acids (omega-3) and phytonutrients. · All leafy greens contain lots of fiber, which feed good gut bacteria and help prevent colon cancer. · They’re known for lowering cholesterol and triglycerides because of their fiber and healthy omega-3’s that I mentioned before. · They can actually provide UV protection due to carotenoids, which come from the antioxidants in the plants. I’ll take a little extra sunscreen! · Leafy greens can boost your workouts because of their antioxidants, as well as helping you recover post-workout because of the same, which reduce inflammation. Isn’t that amazing?? Who knew that such little leaves could do SO much?! · Sauteed in a pan sprayed/drizzled with avocado oil for 4-5 min and seasoned with lemon pepper or sea salt and pepper. · In salads, massaged with your hands for 30+ seconds with a little olive oil or lemon juice. · In soups/stews, added in about 15 min before serving. · As “chips” (such as kale), tossing with avocado oil and baking at 400 degrees for 10-12 min (or until crispy). · In wraps, tacos, etc. (after massaging for 30+ seconds). 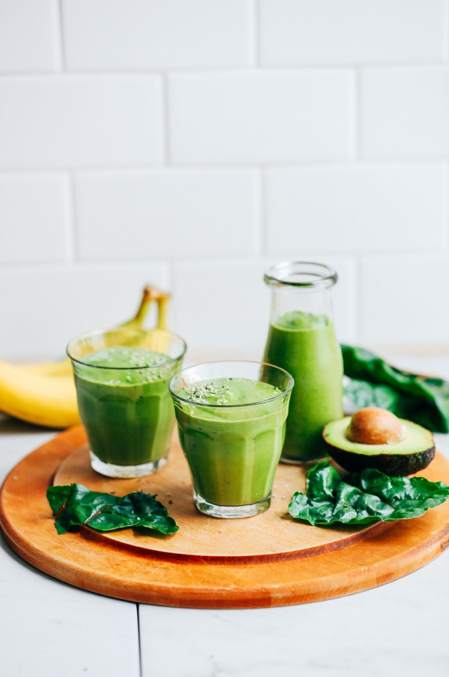 · Tossed into smoothies/shakes (just a handful will do!) after a workout. When choosing greens, I always look for fresh, preservative-free, organic (when possible) options. Nature’s Greens is an amazing line that not only delivers the best, farm-fresh greens, but they also pre-wash them for you, which makes them super convenient for my busy schedule. I hope you now see the AMAZING nutritional benefits of those leafy, green plants. Take advantage of them, friends! For more of my content, visit my website jaymewilliamsfitness.com! This post is sponsored by WP Rawl. All opinions are my own.